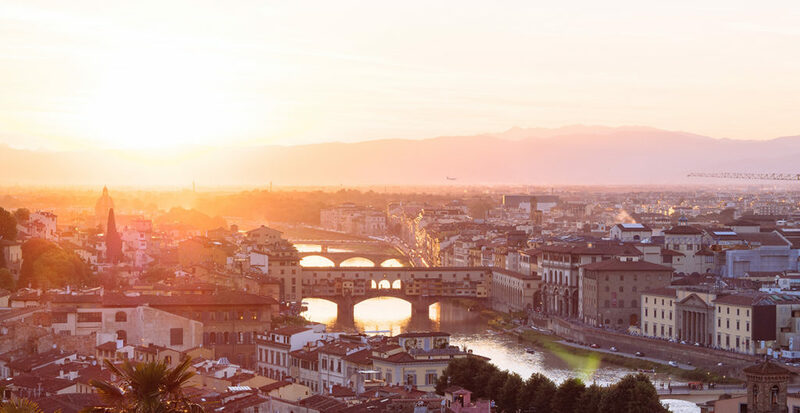 The tour will start at 7am at your place, where one of our drivers will be ready to pick you up to lead you to the beautiful Firenze (Florence is the english name for Firenze!). 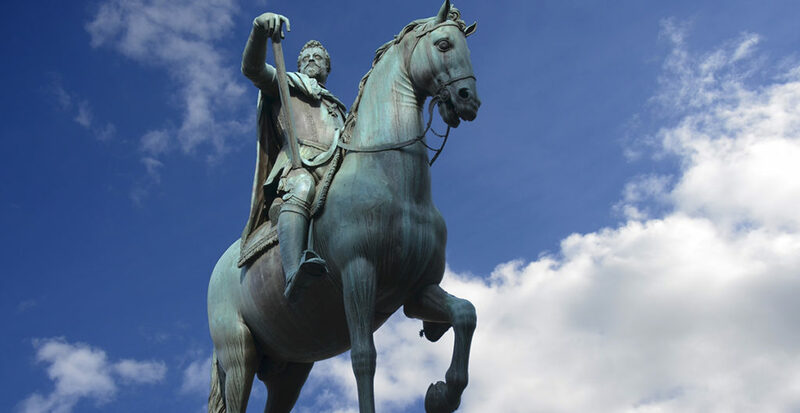 The drive is about 3 hours, once in Firenze you will be overwhelmed by culture and art you can see in the city. First stop is the classic one to Piazza Michelangelo where you could appreciate one of the best landscapes in whole Italy! 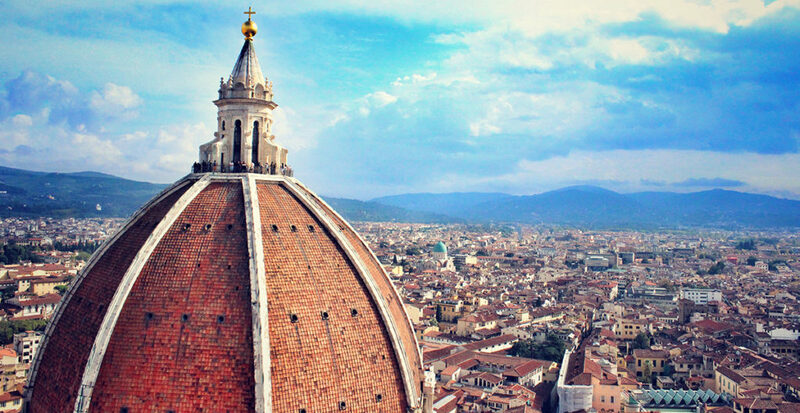 Step out, overlook the city, take a lot of pictures, then be ready to go down in the heart of the city and visit : The Duomo and Brunelleschi Dome, Signoria Square, Ponte Vecchio (The Old Bridge), with the renowned jewelry shop, and so much more! Two really important sites in Florence are Accademia Gallery and Uffizi Gallery. Our advice for these sites is to place a reservation, otherwise you will waste your time queing to get in. So if you plan to visit those places, let us know to adjust the travel considering reservations for those places have a time scheduled. 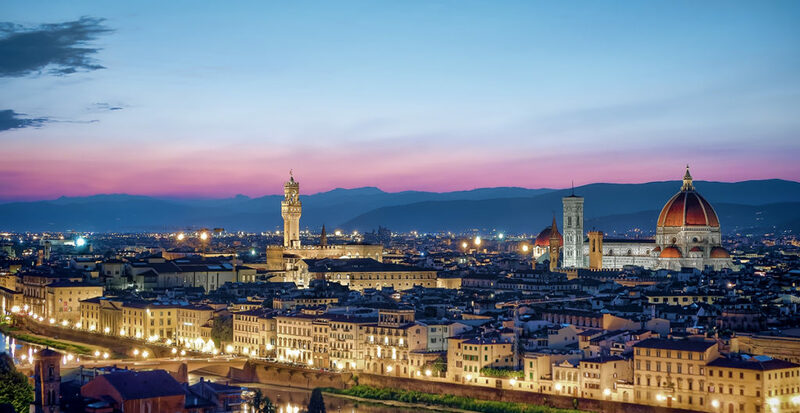 In Firenze city centre driving is quite hard and a waste of time because when you will be in the heart of the city everything is in a walking distance, so once at the Duomo you will be free to walk around and discover sites yourself. Enjoy your lunch in town, continue your visit and meet back your driver at your pick up point at 4pm to drive back to Rome.